A creative teacher, Miss Sowmya Roopa has contributed over a hundred values-based plays to the SSS Vidya Vahini project. Under Project Suvichar, her personal initiative, along with her friends, she has painted over 5,000 inspiring quotes from Baba, the Koran and the Bible for over 41 institutions including Sai Schools, convents, orphanages and hospitals, in India and Oman. She has also visited and shared knowledge with the Sai Schools in Rishikesh and Kathmandu. Slowly, through the next four years when I studied for my B.A. and B.Ed, I understood what Swami meant about universal love! However, each time I would return home for the summer vacation, I could not get rid of the habit of reading novels. And after my B.Ed, I thought that now I was an adult I had complete freedom to read whatever I wanted to. Then Swami told me in a dream vision, very kindly and firmly, not to read novels. My heart sank (in the dream) and I told him, ‘Oh Swami, please allow me one or two nice novels?’ Swami said ‘no’ in a firm yet loving tone that parents and teachers need to learn, one that is a perfect blend of love and law. See, how Swami took me away from a wrong habit and helped me develop a correct habit in small steps with just one shloka per day? When I became a teacher, I had a Bhagavad Gita in my hand that my mother gave me when she heard of this dream. She was so happy that Swami had told me to read the Bhagavad Gita. 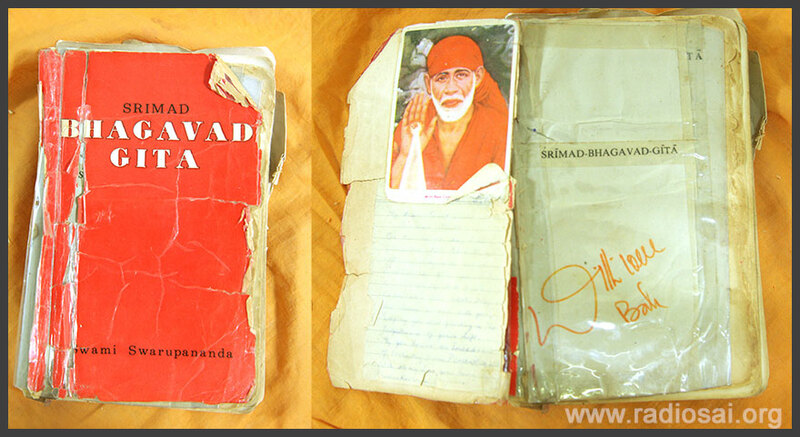 Swami signed on it; His signature motivated me even more to read the book. This personal experience clearly taught me how Swami corrects us firmly and lovingly - tells us what to do instead and rewards us. This was the sort of love I received from Bhagawan as a teacher. I remember the incidence of a little boy in Puttaparthi who had lost his mother to cancer. One night, he along with another student ran away from the school. Perhaps it was his way of escaping from the pain of his loss. Fortunately, before he could even reach the gates, the very efficient Seva Dal posted at the gate brought him back to the school. Swami was informed about this incidence the next day. Swami called the boy along with his brother for an interview and showered him with His love of a thousand mothers. The boy came out so happy and was miraculously transformed from a sad to a happy child. The stress and pain of losing the mother was totally healed. This boy went on to finish his post-graduation at the Sai University and is now part of the teaching faculty there. This boy replied, ‘Yes Bhagawan’. ‘Ok then, speak in Sanskrit,’ Swami said. Now this boy was facing Swami and his speech was only for Swami to hear. His back was to all of us – the audience. But even from where I was sitting, I could see the boy’s face going red and his knees shaking. Everyone felt sorry for him but we saw him saying something and then become silent. Swami opened his arms and hugged the boy. The hug healed his fear and he grew up to become such a confident child. I saw the transformation from fear to confidence with this shower of love from Bhagawan. The take-away from the experience was that a child can be assisted to overcome fear of public speaking by practising the speech facing Bhagavan's chair or picture. Later the child can visualise that s/he is speaking to Bhagavan seated in the larger audience. 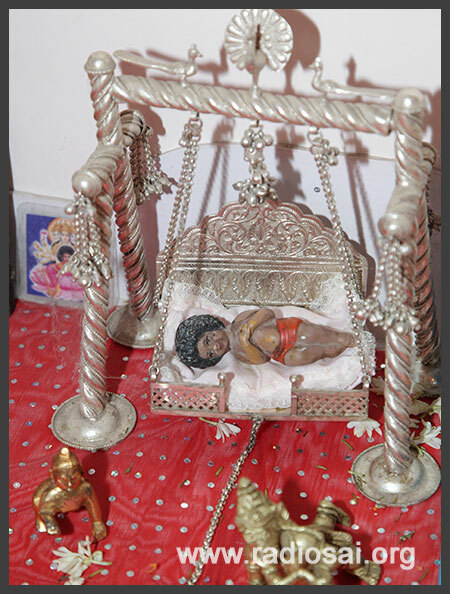 Bhagawan believed in rewarding children and teachers for good work. 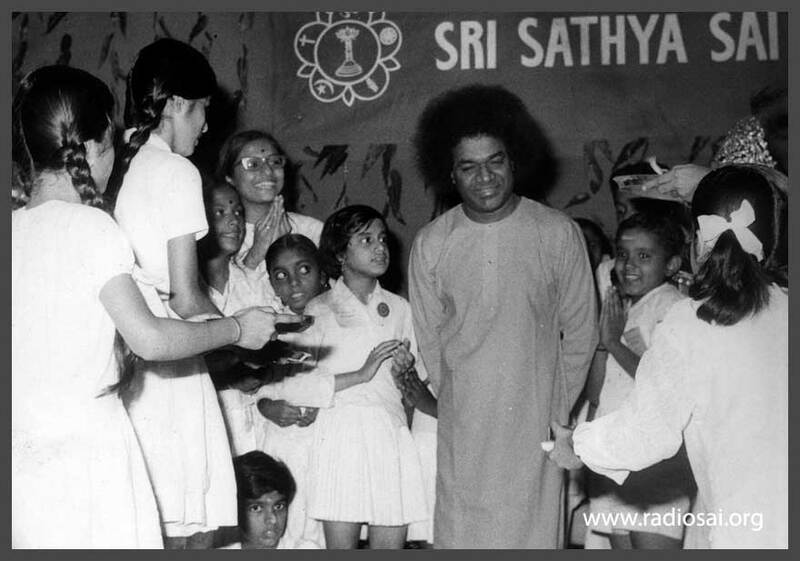 Swami would give away material gifts like diaries, sweets, stationery, pencil boxes, dolls, little cars for the little boys, soft toys for the girls, and diaries for the senior girls. Then I noticed something very unusual. In 1991, there was a little boy in the first standard who was extremely polite in his talk. I always observed him among his classmates, speaking to his teachers, classmates and anyone he would meet in this polite and sweet tone. One day, I saw him sitting right near the edge of the veranda when Swami called him and created a sparkling white sugar candy and tenderly fed it to this boy. Perhaps he had been like this for many lifetimes and Bhagawan was rewarding him for his virtue. Little surprise that his speech was as sweet as the sugar candy! This incident happened in Ooty in April 1989. When Swami arrived at the school, it was a dark and rainy night. As a gesture of welcome, a boy from the first standard gave him a little red rose. Swami held that in His hand and walked in and then looked at this sixth standard boy and threw the rose in his direction. The boy caught the rose with such joy. Today, that same boy heads his own social service organisation, making him a rose in Bhagavan's hands. Swami believed in rewarding students and teachers. Whenever He would call us for interviews, He would give us saris, both cotton and synthetic, for daily use. On His birthdays too He would give silk saris, purses, gifts of cash, stationery, red pen, blue pen, hair ornaments, ear rings, and key chains. And the ultimate gift of grace, after His unconditional love of course, was the 3 inch idol of His likeness as a baby that He gave in November 1991. He helped each of us in inexplicable unseen ways. For instance, in June 1989, I had weak eyesight so I had taken off my glass during an interview. I asked Bhagawan to touch my eyes. He touched my eyes with such loving care! And then when we shifted in 1991 to Puttaparthi, one evening I was hurrying after school for the four o’clock darshan. I felt something brushing against my eyelashes and I thought it was the gulmohar flower that had fallen from the tree above. But just then, I heard two boys telling me, “Ma'am! Swami saved you!” I asked them what had happened as I had no clue. The boys told me that their cricket ball had touched my eyelashes. And, all along I had thought it was a flower! I was wearing contact lenses then and until today my hair stands on end whenever I recall that incident because the impact of the cricket ball could easily have damaged the eyes. But, Swami’s touch had created an aura of protection around my eyes. So, I think every teacher who has worked in His institutions has had instances where Swami has either saved them from great calamity or their near and dear ones. 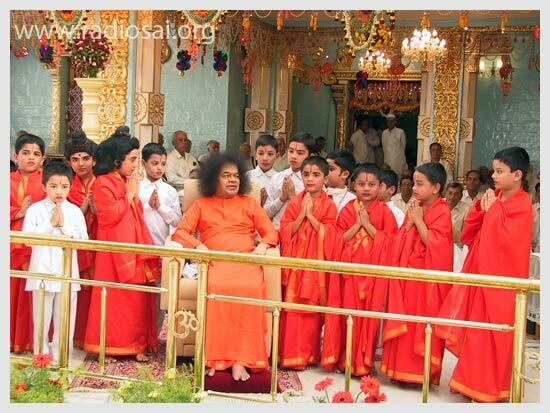 Swami often said that He looks after those that work for Him, their matters, needs, their problems - whether it is Sevadal or teacher or doctor or nurse - anybody who is selflessly engaged in Swami’s mission. Here are two instances that indicate Swami’s respect for regulations. On 29 December, 1990, Bhagawan called all the Ooty teachers for an interview. 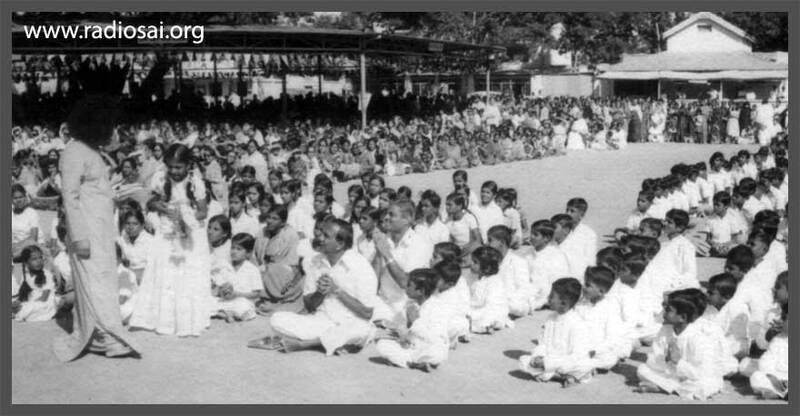 He instructed us to shift to Puttaparthi and become a part of the Primary School with effect from 5 January 1991. We just had a week to wind up our lives in Ooty and come to Puttaparthi. Swami even told us the reason why He shifted us from Ooty. He said the school building in Ooty was 100 years old. According to government rules, residential schools were not permitted to run in old buildings. Swami also told us that the building had historical significance. It was Lord Dalhousie's bungalow - the British Viceroy, and so as per government rules it could not be demolished. This was one instance. The other instance that demonstrated Bhagawan’s respect for government rules was in regard to our salaries. When all of us moved from Ooty to Puttaparthi, Bhagawan wanted us to accept a salary. Until then we were getting a honorarium. Even though the honorarium was modest, we had no complaints as were receiving far more from Swami in terms of His grace, gifts of cash and saris and other essentials. So, in all their devotion for Swami, the teachers refused to take a salary.